It's about time Chevy had a performance SUV again. Though we still mourn the passing of the sport barge known as the Chevy Impala SS from back in the '90s, as well as the Chevy SS sports sedan that died last year, there's still hope that vehicles other than the current Camaro will get the SS badge. It looks like the new Blazer will get more power and that special badge in an upgraded trim level. Chevy will build an SS version of the new and rather menacing-looking Blazer, but it won't get the same mill as the Camaro SS. That one has a 6.2-liter V8 with 455 horses, and that's a lot of power delivery. The Blazer SS won't be lacking, though, so don't start complaining. The SS will be powered by a turbocharged 3.0-liter V6 found that's good for a whopping 404 hp and 400 lb-ft of torque, as well as a 0-60 time in the low five seconds. That's properly fast but not frighteningly so. It's not trying to go after the likes of the Jeep Cherokee Trackhawk with its 707 horses, but it is meant to compete with the Cherokee SRT8 (475 horses) and the Ford Edge ST (335 horses), and it lands squarely in the middle of those two. All-wheel drive and a 10-speed automatic transmission come standard. Even the less potent Blazer RS has the looks to back up the horsepower increase in the SS. The brand hasn't released any details or official photos of the Blazer SS, but the one provided by the folks at ChevyBlazer.org have provided an image of what it could look like (new Bumblebee, anyone?). We're guessing that the SS will get special paint, additional aero bodywork, and upgraded wheels and tires. 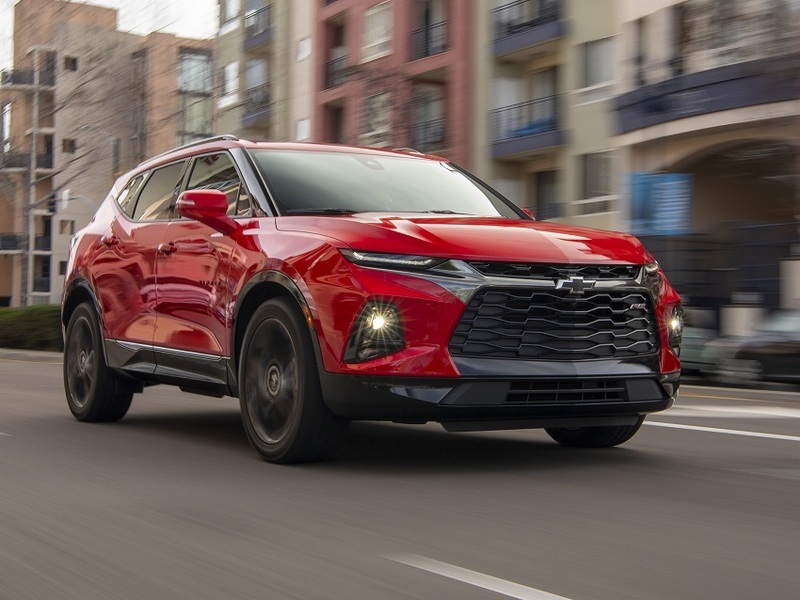 It also looks like Chevy will boost the handling capabilities, as well, and give it bigger brakes to stop the more powerful trim level. The old Trailblazer SS sold back in the early-mid 2000s, and that one was pretty cool. The vehicle will debut at the upcoming New York Auto Show, so we'll get to see how close the rendering is to the real deal. Other details like safety, tech, and interior trim information will be provided close to that time. No pricing has been announced, but expect it to be at least a few thousand more than the $28,800 base MSRP of the stock Blazer.